The tree is named "Two-headed Dragon". 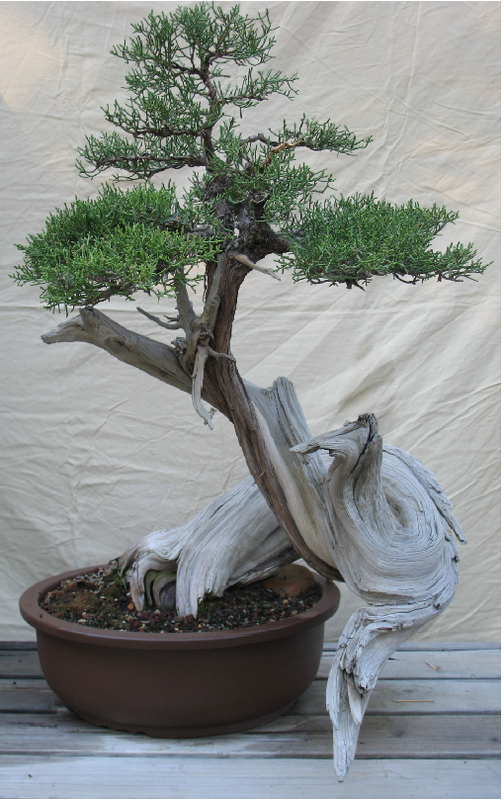 Mas Takanashi was one of the founding members of the San Diego Bonsai Club and was instrumental in building the first Bonsai Pavilion. Mas was very supportive of the new Pavilion, but did not live to see it completed. The main gate to the new Pavilion is named for him.